I have received Regalia first credit card before a month with 85000rs limit but after few days limit had been reduced from 85000rs to 40000rs and I got second money back card which was not applied by me. 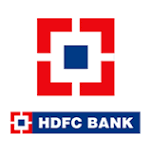 Is is purely HDFC bank mistake. Then I have talked with HDFC bank representative Mr Bhaumik and he replied me that card limit has been split. Hence I had given application for cancle the money back card. Now it has been cancelled but unfortunately my regalia first card limit has not been increased as earlier time. Bad Customer Service they don't Care about Customers, and never pick up the calls.